This is the most snow coupled with the coldest temperatures we have seen since our company has been in operation. As the forecast calls for more snow, rain, and cold temperatures, the harsh winter elements can present a few dangers. Tenants and homeowners can take a few precautions, recommended from our vendors, to prepare and protect their homes. 1. With the cold temperatures you can keep a slow drizzle running from faucets especially if the line to the faucet is in an exterior wall. Our plumbing vendor says if you suspect frozen pipes to turn heat up to 75 degrees and open your tub valve and close all other faucets. And, be certain that you don’t leave the house so when the freeze melts you will be there to turn off the faucets. 2. If you are out of town make sure that the heat is on and someone is checking your home regularly for water leaks and damage. 3. Make certain that all garage doors are shut, especially during the night. 4. All hoses detached from hose bibs and all spigots are off with no hoses attached. 5. Snow removal from all sidewalks, driveways, porches and porch covers. Keeping these areas clear will limit your liability in the event of an injury on your property. Boise Municipal Code requires removal of snow from dwellings and even vacant lots. 6. Safely pull down all ice cycles for they can tear down gutters and fascias. Ice dams are ridges of ice that form along the edge of a roof and prevent melting snow from draining off of the roof. The water that accumulates behind the dam can seep through the roof and leak into a home and cause damage to walls, ceilings, insulation, and other areas. 7. Change furnace filters. The constant running of furnaces is very taxing on the units and there can be breakdowns caused from running with dirty filter. So make sure you are changing the filters. 8. Dryer and furnace vents. As snow accumulates on the ground, it can potentially block low-lying dryer vents or fresh-air intakes on the exterior of a home. This is a safety issue because the dryer must be able to properly exhaust the air to prevent the duct or dryer itself from overheating and potentially starting a fire. Blocked vents for a natural gas dryer and / or furnace present a second issue, carbon monoxide poisoning. Remove the snow around the area of your dryer vents and furnace intakes and remove ice build-up. This is the craziest winter we have ever had. Stay safe and warm everyone! What's The Deal With Zillow's Zestimate Accuracy? The Zestimate home valuation accuracy will vary greatly by location. Home data is compiled to generate a Zestimate, but not all states and counties provide the information Zillow needs to create the home valuation. The more data Zillow can access, the better and more accurate the Zestimate is. For example in the state of Idaho Zillow does not have the greatest accuracy, with only a 1 star rating, similar to that of the tax assessor's value. If you are curious or seriously want to know the value of your property that is more accurate than Zestimate, contact us today. We would love to show an accurate range of what your home’s current value would be in the current market. You can find all our contact info on our website at dorothyhardee.com under the Contact Us tab. The Hardee Real Estate team is your best tool and resource to figure out your property value and any other accurate real estate market information! hat's The Deal With Zillow's Zestimate Accuracy? Millennials emerged as a dominant force in 2015, representing almost 2 million sales, which is more than one-third of the total. This pattern will continue in 2016 as their large numbers combined with improving personal financial conditions will enable enough buyers between ages 25 and 34 to move the market—again. The majority of those buyers will be first-timers, but that will require other generations to also play larger roles. Two other generations will also affect the market in 2016: financially recovering Gen Xers and older boomers thinking about or entering retirement. Since most of these people are already homeowners, they’ll play a double role, boosting the market as both sellers and buyers. Gen Xers are in their prime earning years and thus able to relocate to better neighborhoods for their families. Older boomers are approaching (or already in) retirement and seeking to downsize and lock in a lower cost of living. Together, these two generations will provide much of the suburban inventory that millennials desire to start their own families. Assuming that most of these households will both sell and buy, it is important to recognize that 2016 is shaping up to be the best year in recent memory to sell. Supply remains very tight, so inventory is moving faster. Given the forecast that price appreciation will slow in 2016 to a more normal rate of growth, delaying will not produce substantially higher values, and will also see higher mortgage rates on any new purchase. 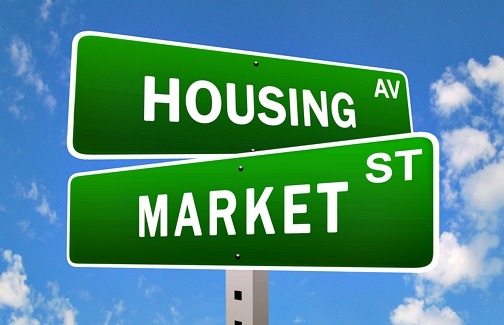 We can assist any seller with a complimentary Comparative Market Analysis (CMA) for the current price of your home. We can also give help with staging, improvements to get sell ready, and the entire listing/selling process. The Market Is Right, Buy or Sell! Millennials – The 20 somethings, our team is ready for you. This age group of Millennials is all about the convenience: For example, Boomers, will live 20-30 miles away from family or work, embracing the commute and yard maintenance. Millennials will live on average only about 10 miles away from family or work. They are exchanging the McMansions for condos with little to no upkeep and within walking distance to and from work and entertainment. Entrepreneurial: Boomers if they haven’t already made it, they won’t. Millennials think "why not me? ", or "all the fast tech start ups are forming by CEOs all my age, we can do this with just one good idea". One of the most important roles a Realtor or Property Manager can play with a Millennial Buyer or Seller is to help them to understand the processes involved throughout the transaction. There are steps and loopholes that are not always extremely efficient but must get done for a smooth transaction. We are the resource of where Millennials can discover facts about which properties are the best match for them. We are also the avenues to the latest technology and apps so they can have all of the listings, available properties and all their related information instantly on their phone, tablet or laptop. Contact us today and get the perspective and assistance from Hana, our true Millennial. 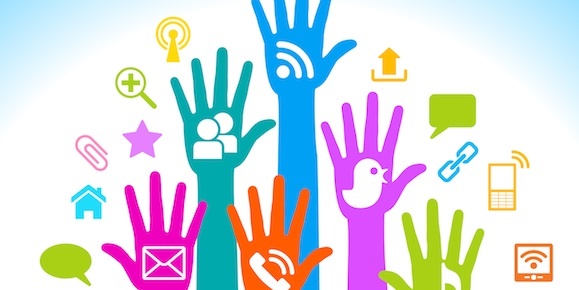 We can help you get hooked up with all the connections you will need for a great real estate or management experience. We can offer personalized real estate searches through Listingbook, email alerts from the real estate hot sheet, what and how you can qualify for a home. As well as all available rental properties, right now! $200,000 loan amount, fixed rate, 30-year term. The difference between 4%-6% interest rates is a PI of $244 per month making a total of $87,840 extra dollars paid over the course of a 30 year loan with a fixed rate. But, the biggest difference is the amount you can qualify for. For every $100 your payment increases will lessen your buying power by $20,000, and that’s a minimum. If your payment jumps up by $250 you can be qualifying for perhaps $50,000 less of a house. You may have driven yourself completely out of the market. You need to seriously evaluate the power of the interest rate if you are considering purchasing a home or an investment, it can make all the difference in affordability as well as your ability to qualify. We can help with information about the current market rates, help you understand what you do qualify for and show you the real estate in your price range. We can put you in touch with our real estate team to help you get on your path do taking advantage of these low interest rates! Contact us today about your next investment or dream home! Boise Real Estate: Back In Action! Not sure this is quite what we were waiting for or not, but it is here! We are into a market with multiple offers on any property under $200,000. Our last 3 listings this month all had multiple offers and bidding wars that drove the prices up a minimum of $10,000. As we know from all the statistics we are still one of the most affordable price markets in the Northwest. Our inventory is at a low from the last 10 years coupled with a vacancy factor of 2.7% resulting in a growth in the market that is going to be amazing. Low inventory is driving up property values, low vacancy is driving up rent values and the incredible rates are driving demand. So, here we go with appreciation, rising rents and great returns on investment for investors. Don’t wait till prices force you out of the market and the rates make your qualification for a house less then today. It is healthy and fun again. Give us a call to see what your home is finally worth, you’re going to love the #’s. Also, what you can afford to invest today with the current interest rates will amaze you. Contact us for a CMA or with any questions today! 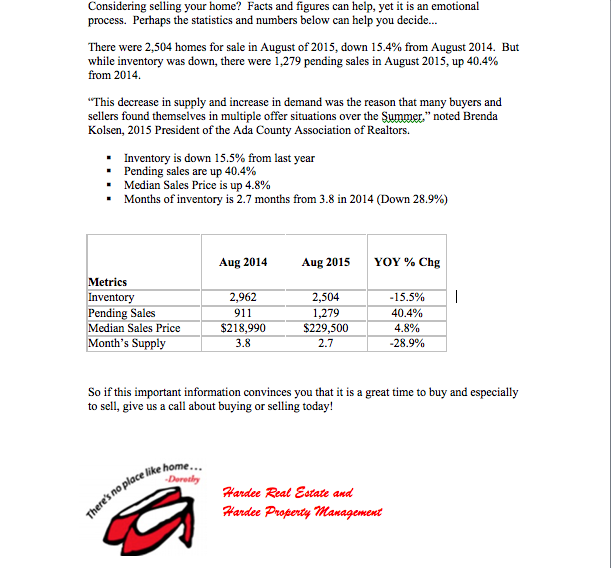 As promised here is your market information concerning average rents per square foot and employment statistics. This information was reported as of March 2015 and employment statistics drawn from the Idaho Department of Employment. We are experiencing a steady increase with a healthy jump into the year 2015. As vacancies come in our managed properties we are raising everything across the board and renting most product almost immediately. Wow, does this feel good after the last 8 years. It is healthy out there. Employment statistics for Ada county have been increasing steadily since 2008 when the total was at its lowest in the last 10 years. In year 2009 employment hit a low at 174,931. As of 2014 the rate has increased to 202,428 with a combined employment in Ada and Canyon county of 285,914, the highest rate in the last 10 years. From years 2013-2014 the employment increased by 5,320 in Ada county and a combined increase in Ada and Canyon county of 7,267. The steady growth of employment is a great indicator for Boise and surrounding areas. This lends to steadier incomes, more disposable income and people with money to invest. The proof is out; real estate pricing and rental values have finally reached 2007 values. Ada county has not only recovered from the great recession value depreciation that lasted for over 5 long years, but may finally be tied or exceeding property prices. We were tied for 5th place in foreclosures in 2010 and 2011, tying with much larger metropolitan areas such as Phoenix and Los Vegas. The fever is back. Our last 4 listings have sold in 3 days and the last 2 duplexes we have put offers on for clients had multiple offers or were already sold. Average sale Prices in single family homes were $268,569 in 2007, tanked to a low of $171,300 in 2011 and are now up to $247,040 at the end of 2014. The predictions are that we are finally at 2006 values for first quarter of 2015. Investment properties for 4 plexes were as low as $250,000 in 2011 and rising to average of $325,000 with new construction pricing up to $400,000. But, the great news is vacancy is 2.7% and predicted to remain steady despite all the apartment complexes being built as a result of the 1,675 building permits pulled in 2014 (multi-family). Stay tuned next week for Employment statistics and average rental pricing per square foot..
1. Interest rates are still low which is causing, once again, a rate driven market. 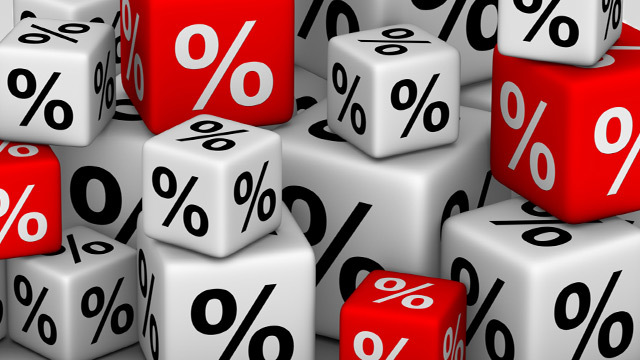 rate loan now averages 4.16%, according to Freddie Mac, but many economists believe we will see 5% rates this year. As interest rates increase, so do your monthly payments. 2. It is a true tax deduction. All expenses, improvements, taxes, interest and insurance are a tax deduction. Ask your accountant the benefits; they are truly the true tax benefit. 3. Appreciation. We know that this benefit is under criticism after the great recession we are just recovering from. Yet, most properties have regained value and some have passed the 06-07 peaks, if not equal. We are in recovery and climbing back up the ladder to new heights. 4. Someone else is paying your mortgage. You get the benefits of a tax deduction and appreciation while someone else pays off your mortgage. As a long term investment, real estate makes sense for the future value that will eventually be free and clear. 5. Housing inventory is at a low which is one of the greatest indicators that prices will be going up. When inventory is low and employment up forecasts show record value price increases. As an added bonus to your investment you will be providing housing. Investment real estate provides a home for residences and family in our local community. What a great way to give back! For any more information regarding real estate investments, rent prices, market trends, housing prices ect., contact our team today. We would love to help you get your investment portfolio started! Have you been thinking of making an investment in real estate to diversify you investments towards retirement? You’re probably wondering if it is safe to finally start purchasing property again. We have started off 2015 with some amazing investment programs we haven’t seen in years. These programs are making the process of purchasing investment property easier and more affordable. One of our Lender partners is offering 85% financing and cash out on investment properties or non-owner occupied loans. Over the last 8-9 years investment loan packaging has gone up to as high as 70% loan to value financing or 30% down. Also, Lenders are offering a program that allows investors to buy fixer-uppers that need extensive updating. You can purchase a rundown property, close on the loan, do the updating in an agreed time frame, and the Lender will pay out the construction costs. In other words you can buy that rundown property, close and then do the work. In the past all repairs had to be made prior to closing on any property, so this just didn't happen. This was always too great of a risk to the Buyer and Seller, unless you paid cash. Now, if you want to be an investor, buy a property in need of fixing up and have built-in equity, this can be done. In addition, Fannie Mae used to have a cap on how many properties could be bought by an investor. The cap ranges from 5-10 and it has been fixed at 10 for quite a few years. But, we were just introduced to a program by a Lender that will offer above that as high as 15 in some cases. For income properties in 2014 in Ada County, there were 191 units sold (du/tri/fourplex). The highest sales price $450,000 and average sales price was $255,000. Total sales were down from 2013 of 195 but the average sales price was up from $231,956. Again, this year the market is still interest rate driven, dropping into the mid 3% range, something we thought was long gone. Sales in real estate existing homes in Ada County dropped slightly in 2014 but the average sales price rose to $246,141 from $233,500. Appreciation across the board was a steady 5.41% with industry average being 4%. The largest increase in property value was in the North end, North East end and Eagle. The availability of listing is at a low, so prices will be moving up. The rates coupled with the programs available to investors and homebuyers (100% financing) are making this an incredible time to buy. For more detailed information on these programs and how it may pertain to you, give us a call.